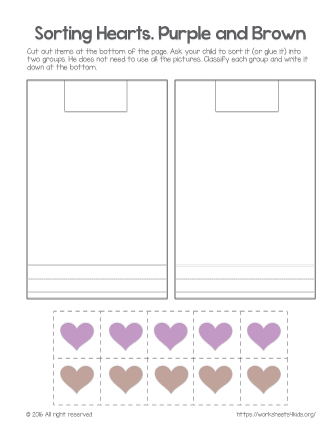 A fun activity for kindergarten kids to practice purple and brown colors. Free color sorting printable is fast to download and easy to use. Cut out hearts at the bottom of the page. Have your child sort and classify them into two groups. Let him explain and prove his decision.